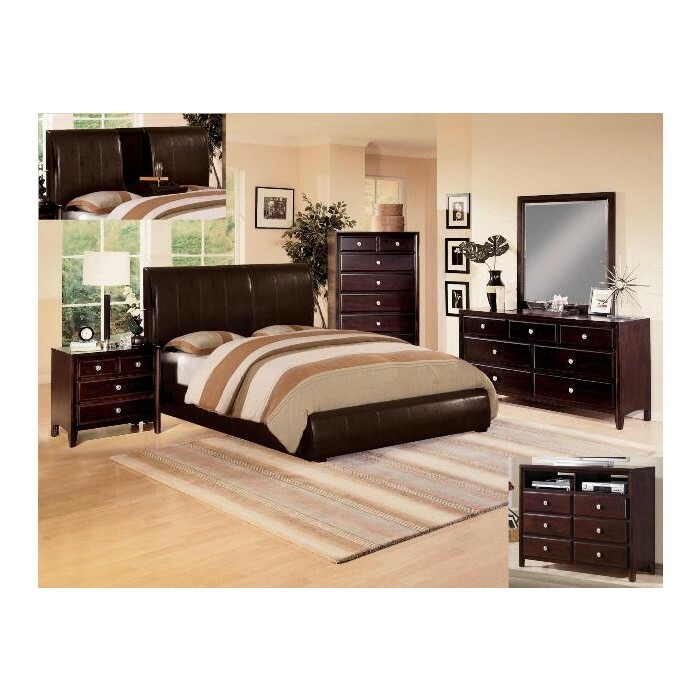 This amazing queen bed is sure to add to your most intimate of rooms. The low profile look of this bed combined with the tapered block legs and faux leather upholstery gives this bed a must have look. This bed features a fold down table so you can eat some snacks in bed and watch a movie.